Ekiti State Governor Ayo Fayose’s willfully false charge that Wife of the President Aisha Buhari is the “Aisha Buhari” implicated in the infamous cash-for-contract Halliburton scandal between 1994 and 2004 has animated a frenetic, impassioned conversation on Nigerian cyberspace. My intervention in a Facebook status update after reading Premium Times’ tendentious reporting on the allegation both (re)structured and intensified this conversation. “Premium Times' reporting on Gov. Ayo Fayose's allegation against Wife of the President Aisha Buhari is reckless, factually inaccurate, and libelous all rolled into one. This is particularly disquieting because thousands, perhaps millions, of Nigerians on social media are ignorantly spreading a malicious falsehood against an innocent woman. “Read the original New York Times story published on April 29, 2007 to know that the ‘Aisha Buhari’ mentioned in the corruption scandal ISN'T the president's wife. In the New York Times story, ‘Aisha Buhari’ identified herself as the ‘daughter’ of ‘General Muhammadu Buhari,’ not his wife. Of course, President Muhammadu Buhari has no daughter by that name. The said ‘Aisha Buhari’ is obviously a criminal impostor who has not the remotest relationship with President Buhari either by marriage or by blood. "Take a look at her picture, which I downloaded from the New York Times website, and tell me if she bears even the slightest resemblance to Mrs. Aisha Buhari or any of the president's daughters. This lady is a major-league scammer who has refused to reveal her real identity, and Premium Times failed to do basic fact-checking to confirm this. It took me less 2 minutes to find this out. ‘As for Ms. Buhari, who is living in Virginia, it’s not clear who she really is. For one, she is under investigation in Nigeria by its Economic and Financial Crimes Commission, said its head, Nuhu Ribadu. ‘Mr. Ribadu said he is uncertain if her name is Aisha Buhari, but he added that she is not a daughter of General Buhari. The former Nigerian ruler agrees. After my status update went viral on multiple social media platforms, the biographical information page of a passport belonging to an “Aisha Mohammadu Buhari” surfaced. 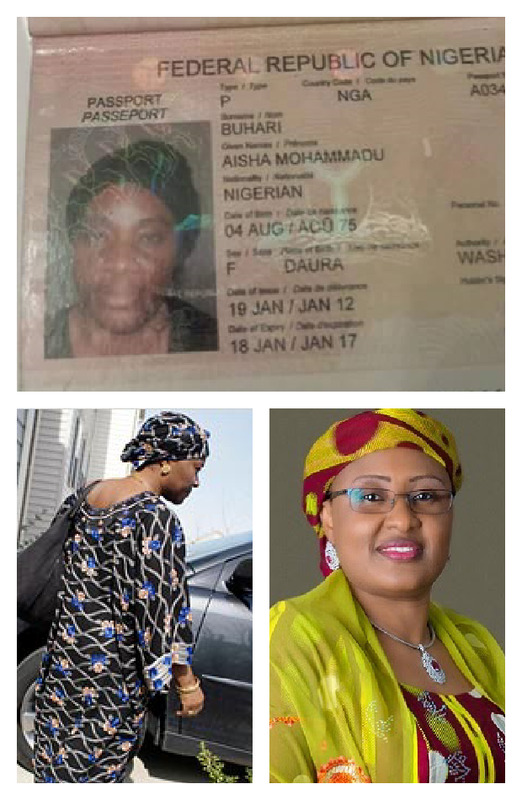 People who shared the passport on social media said it belonged to the fake “Aisha Buhari” mentioned in the Halliburton bribery scandal whose New York Times photo I shared on my Facebook page. I looked hard at the photo in the passport to see if it bears any resemblance to the photo in the New York Times story. Although I saw some resemblance, I frankly couldn’t say this with cocksure certainty precisely because the New York Times photo appeared to be a stealth photo that didn’t quite capture the woman’s full frontal visage. This case is practically crying to be thoroughly investigated and unearthed by a smart, careful, transaction-oriented journalistic sleuthhound. First, the lady hasn’t said the passport is fake; she says it is indeed hers, but that it was stolen “early this year” “to give credibility to [the] story” that Mrs. Aisha Buhari has no connection with the Halliburton scam. Now, that’s an astonishingly illogical chronological inversion. Did the people who “stole” her passport early this year have a crystal ball that foretold that Ayo Fayose would accuse President Buhari’s wife of complicity in the Halliburton scandal in June 2016 and therefore stole her passport in readiness for this? Second, the biographical information contained in the passport indicates that the said “Aisha Mohammadu Buhari” was born in Daura. Yes, Daura in Katsina State—President Buhari’s hometown. Is that a coincidence? Does anyone in Daura know the woman shown in the photo? She said she was born on August 4, 1975. Who are her parents in Daura? This is easily verifiable information because Daura is a small town. Third, does anyone in Daura know any “Aisha Mohammadu Buhari” who lives in the Washington DC area, that is, Washington DC itself, Virginia, or Maryland? This should also be easy to verify because I don’t imagine that there are many Daura indigenes who live in the United States given that the United States has historically not been a destination of choice for northern Nigerians. Fourth, what are the odds that a lady who claims to be born in Daura to a “Mohammadu Buhari” isn’t impersonating the most famous Buhari from that town? (By the way, President Buhari insists on his name being spelled as “Muhammadu”—and not any other variant. If “Aisha Mohammadu Buhari” was attempting to appropriate the president’s name, she obviously didn’t get the memo that Buhari resents his name being spelled in any variant other than “Muhammadu”). Finally, since we have information that an “Aisha Buhari” testified before a US grand jury in 2006, it is entirely possible to ascertain her (photographic) identity from that testimony. 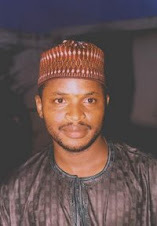 Plus, New York Times’ Michael Temchine who took the stealth photo of “Aisha Buhari” in 2007 in Virginia with the caption “Aisha Buhari has claimed that she is the daughter of the former military ruler of Nigeria, Gen. Muhammadu Buhari” should be able to give us insights into the real identity of the scammer pretending to be “Aisha Buhari” that he photographed. Premium Times and Sahara Reporters should be able to investigative the US angle of this conundrum. They have the resources and contacts to do it.